: I have a wonderful guest for you today. His name is Dr. Sameer Badlani. He’s the chief health information officer and vice president at Sutter Health in Sacramento California. 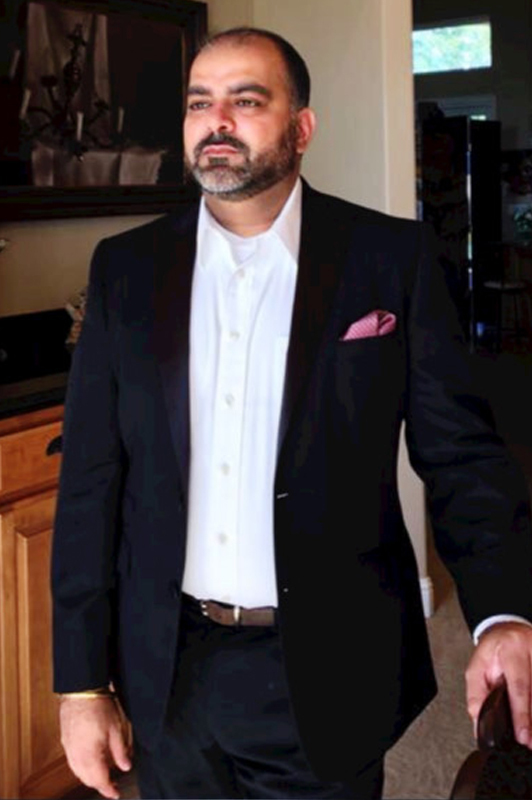 Dr. Badlani comes to us with a lot of experience in medical information as a chief medical information officer previously at Intermountain Healthcare. Then prior to that, the chief medical information officer at University of Chicago preceded by a wealth of experience as a physician and also just a biomedical informatics expert. So I really want to extend a warm welcome to Badlani and also just open up the microphone to use some ear to fill in any of the gaps in the intro that I missed. Welcome to the podcast. : Thank you Saul. I really excited to be part of the conversation and all the nice things you said about me. Thank you for that. I guess the only other thing I would add is that I used to practice and teach practice medicine and teach clinical medicine at the University of Chicago, was the faculty inSchool of Medicine and the wonderful opportunity to teach medical students an internal medicine residents and that’s definitely one thing I miss of my current career. : Say you had a great great opportunity to be at the frontlines and train future physicians and now in a leadership role at Sutter. I always like to go back to the very beginning. Sameer what got you into the medical field to begin with? : Well true story at the age of four years, my mother brainwashed me and said you had to become a doctor so here I am. Nothing chattering about anything significant which is just good old parental pressure. : And hey you know you listen then. Good thing you listen. Because things are going pretty well. : Yeah. So I’ve enjoyed you know all jokes apart. You know that’s how it probably started. I progressed through my high school. It was something that you know I found myself really looking forward to the opportunity of joining a medical school. And when it all happened I realized you know this is exactly the career I wanted and in many ways even though I don’t actively practice anymore except on friends and family what I do allows me to benefit patients and clinicians have a much larger scale than I would have been able to if I was just being a panel of patients. As far as I’m concerned you know I’m still a doctor. I use different skills to help deliver better health care. : Definitely on a broader scale and and in today’s day with technology being so pivotal to the things that we do. Your skill set is definitely very very uniquely poised for some broad impact in that field. Sameer what do you think a hot topic that needs to be on our listeners agenda today and how are you guys approaching it? : Sure. I think the hottest topic these days is generally under the broad purview of the transition from fee for service to value based care. The way I like to break it down is most people end up getting embroiled in provider peer payment set up that’s how they see these two opportunities. As far as I’m concerned the way I like to look at it and a lot of my colleagues do as well is that health care costs a lot more in comparison to the value we provide and the value and outcomes I would choose to value plus outcomes. And the reason we say that is that you know if healthcare was costing what it cost today in the United States and then everybody in United States are a significant population was satisfied with their health care experience and outcome and we were the healthiest country in the world then I would say you know money well spent. Keep on going. But that’s not the case. While we are number one in I think I may not be far off on the statistics but number one in the percentage of our gross domestic product we spend on health care and the actual dollars you spent on health care. And then when you compare from any w8 or other metrics used out there to compare the health of different countries are probably somewhere in the low 20s high 20s or low 30s that’s where we were last time I checked. So we’re clearly not getting Money’s worth. You wouldn’t go to a car dealership and say I’m willing to pay a bill for the highest price car and I won’t care if that’s the 30th in quality. So think of it that way. And for me that’s a very hot topic and every medical leaders agenda is how to do more with less. How to do better than we have done in the past and how do we engage our clinical workforce and our patients differently in this digital age. : I think that’s such a great analogy Sameer. Nobody would want to pay triple for a car and you know hit me 30th on the list of great cars. Can you dive into some examples of things that you’ve seen or things that you guys are doing over at Sutter to bridge the gap. : Sure I think I’ll speak. One example is on the quality side there are a lot of quality metrics that an organization like Sutter and any of our peers large or small are different ambulatory and patient and so on used to measure their clinical outcome. While the current quality metrics are not ideal in the sense they are more of process metrics rather than outcome metrics. It is what we have today and I’m very proud to say that Sutter does really well in these metrics. One of our goals about 2-3 years ago was to really provide that level of quality at all of our site. So one of the collaboration projects that we launched internally within Sutter was a partnership with my department which is informatics and analytics along with a quality department where we built an analytic dashboard that allows us to not only measure in real time the quality, the experience of operation but how are we progressing at all our sites, all our physicians and while I would be misplaced to say that has made singularly made the difference to have definitely for sure contributed to our ability to pull the right leavers have the right conversations assign the right resources where this analytic dashboard and the associated informatics workflow and the business workflow. Last year we had a much higher result than ever before for the quality that we provide to our patients. And that’s deeply satisfying because while it’s been a tough project, it took good three years to make it happen. Lots of money, lots of time. It is delivering the results that we hoped for and more importantly these are meaningful results. It’s not a fancy machine learning dashboard that I can just give a talk about. : Sure, sure, I know I think that’s really really neat and you bring out machine learning and sort of it being fancy at the end where the rubber meets the road is where it matters most. And so congratulations to you and your team for creating this summer. What would you say in that solution that you guys put together. Was the secret sauce. Why do you think it was successful? : A few reasons. I think number one we had a clear idea of what we want to change. So the business case was crystal clear in our mind set up various quality and value based measures that we wanted to improve our performance by not only being able to measure what it is in real time rather than finding out three months later what happened but also to be able to help in the day to day workflow for quality managers in impacting that workflow and working with our patients. It’s by no means a completed project it’s a good start. : I would qualify it, that was the first point the second thing was a really good and intense collaboration often full of friction but still good and focused on the right objectives between my teams and the quality and operational team. And I think that’s what you need. Often people describe good collaboration is where nobody fights with each other. I would say those are the worst kind of collaborations because you never find out what’s wrong. Still it’s too late but in this case I think the healthy amount of objectivity and interpersonal challenging that was going on allowed us to arrive at a better product. It’s definitely I think going to be a prototype for us for future success. The most difficult part which I would say somewhat surprise me but shouldn’t have surprised me in hindsight is how difficult it was to get a standardized workflow. Once the analytics dashboard had made and if there is of many I hope helpful or else that we will be able to share today one of them definitely has to be focused less on the technology or the completeness of the dashboard or cause a lot more on the standard work that your team will do once that analytical site is available. What we found again not to our surprise is that different people in different parts of the company probably under the same job code were doing their jobs very differently and that’s what we find in almost anything we do. So probably the last one year has been less about fixing the product or refining the product it’s been more about standardizing the workflow amongst various individuals in a team that’s spread across the entire geography of Sutter Health and the complexity that comes with it and then changing the system accordingly. And I think that’s part are building us I.T. solution which is definitely in the realm of informatics ethnography is very important because you standardize the job to be done then all level of solution work in supporting it. : Such an astute observation. And we really thank you for sharing that Sameer. And yeah you know when you have the clinical variability there’s no machine, no algorithm that you could place on top of it to make it better. : Right. And this applies to clinical variability or operational variability. I think you have had a very insightful. I would say nerve there because many people look at the healthcare system as a single clinical workflow a patient meeting a doctor or a patient interacting with a nurse or the billing department. What we fail to realize often while being in healthcare is that there is an entire back office in a middle office that is not dissimilar to any other business industry vertical out there like retail banking or finance marketing. Any of those. So that’s where we have a lot of opportunities to standardize our processes, reduce the waste while continuously trying to deliver better health care. : A great call out Sameer. And super fascinating that the last year, you worked on a tool the first two years now last year is all about workflow standardization. And now you guys are having some big strides in the results you’re getting. Can you give the listeners an example of the results you’ve created by doing things a little bit differently? : Sure. So you know for example we are measured on have we done all the appropriate preventive care for our patients. It’s not only a measure of the quality of care we provide. It also allows us to improve the health of our population that we serve, the consumers that we are. And one of the places where this has helped us is that we know the gaps in clinical care very early in the year rather than finding out much later as I talked about so very, there’s a difference between in real time and dynamic. And in this case I will say it’s a dynamic report which based on all the available information we’re able to tell you that these are the 10 patients in our panel who are missing diabetes check or are missing Cancer Prevention check. While we are still working on enabling the workflow now that we have the insight we are now much more of there are gaps and can we go after these 10-15 patients to get them into the health system in some shape or manner and get them the preventive care they need. And as you know prevention is a way better off taking care of a population than treating acute problems. This has made a big difference. The other thing is we are able to document better as to the care we have provided and that reduces redundant care. You know if the record does not show properly or the inside doesn’t show properly that I have required blood tests for diabetes I may end up getting the same thing prescribed to me by another doctor so that’s unnecessary testing, unnecessary cost and unnecessary pain from a blood test and unnecessarily waste of my own time. But I have to you know figure out how to make it to the lab and get test done. One of the biggest complaints our patients have is why don’t you have all my data in one place when I come to you. So this helped us prevent a lot of those gaps in care that we had gaps in communication that we had. : No doubt some serious results here Sameer. As we walk through this theme of value based care. How are you looking at for example patient reported data to help with that? : So a great topic to talk a little bit about patient reported data and the broad category. It needs to be differentiated in outcomes that are reported by a patient. For example you came to my clinic and I did a new procedure on you. So you send it information at one week at one month and six months. How good is your walking. How good is the swelling, or hopefully gone by one month. And how is your being which was the first reason you first came to me. And so those are patient reported outcomes which is what we should be really focusing on. Was this patient generated data which has a life of its own now that the Fitbit, Apple Watch and every other device out there that is able to measure and sent the information. What I’m not saying is that it’s not imortant, what I am saying is that it has caused an unfortunate amount of hype whereas the mere availability of raw data is being seen as a breakthrough. And I would humbly beg to differ. A physician right now, a nurse right now is already overburdened by a large amount of raw data. : And what they need to be doing are again not even dashboards. As a physician, what I would like to see is that if I am your specialist helping you take care of diabetes, instead of knowing all the raw data you collect on your glucometer, I want to know how many times, was your insulin not enough. How many times. Or is it too much. And how are you generally doing on your diet. And then even moving to the next step what basic adjustment can be done to your insulin and diet without getting me involved. When I get involved it should be for cases where we really need to have a deep discussion. The goal of any of these analytic data and informatics platform should be only one at the end of the day to allow a patient and a physician to spend more time with each other in a meaningful way so that a better healthcare outcomes can be achieved. If all these tools all these fancy technologies lead to distraction like they normally do or they lead to more data overload causing cognitive dissonance. We are only making the problem worse. So I like solutions that would use the data aggregation while factor into aggregated all the patients data. They told me how they were support patient generated and patient reported. And based on that we took six steps to take care of a patient that was decided in a protocol that you are nurse in your hospital and your clinic. And here is how he or she is doing or you know what you did pre decided six steps and it still not making a difference. We would like to bring in the patient to see you. That’s how I would like to see patient generated and patient reported data being used. I think we got too excited at the fact that I could even get access to that data. We forgot why we were doing it in the first place. : That’s such a great distinction to make Sameer and I thank you for that. Because yeah you know it is happening and you look at companies gathering this data and you know the excitement can sometimes cloud judgment and the metrics that we’re after the outcomes that we’re after. How do you maintain clarity amidst this excitement. What advice would you give to health leaders in the trenches? : It’s very hard. So I would be completely lying if I said I don’t get drawn into it or I don’t find it exciting because we are all trying to make a difference here. It is hard but I think it is the most necessary task of health IT leader today is to not let the shiny technology in front of us obscure the importance of the patient and the physician that we are trying to serve here. I make sure to add the physician because with the last few years while we have had a very healthy much needed focus on patient engagement, a lot of it has come at the cost of clinician engagement, both physicians and nurses and advanced nurse practitioners and physician assistants which has led to a significant amount of dissonance job dissatisfaction and burnout that we hear a lot about. So it’s really important that when you are thinking of a solution, you really want the patient and the physician and the clinical workforce as your primary client and then the clinical outcome as your use case focus. So that’s number one. I think that helps us really keep our focus. Number two is is the solution to improving outcomes and at the same time reduce the cost of care delivery or maintain the cost? I think for too long, if something short or even mere chance of improving a clinical outcome, but was extremely expensive from a total cost of ownership model we were not worried about it. You know we would say the ROI would take care of it. I think we need to stop doing that. Health care needs to be run like a true PNL business which will allow us to have a robust focus on how we think of the solution. You have to really hold ourselves accountable to go back and check on how well did we do on various metrics of improving clinical care reducing the cost of care and improving the access for our patients and improving the job satisfaction for our physicians. Those are metrics that you need to hold ourselves accountable to. : Some great advice there Sameer. Friends if you’re listening. You probably pulled over to take some notes. You didn’t, the nice thing about podcast is that you could always rewind and go back because Sameer definitely offered a lot of value there. I encourage you to go back. Listen to this again and start thinking about how you could approach this subject of new technologies and keep that outcome at the center of all your decisions. Sameer, I feel like oftentimes we learn more from our setbacks than our successes. Can you share with the listeners a setback and what you learned from it? : Oh boy. So many to choose from. And I think you’re absolutely right. I only learn when I make a mistake because when something goes well you assume it’s because of what you did but you have no data to prove that. It’s only when you fail do you potentially have the opportunity to do a root cause analysis and you learn. I think you know rather than focusing on the one time I failed because there are so many honestly I think it’s one area that I know I have failed in the past for sure is not thinking enough about change management. You know it’s very easy for me to say I picked the wrong technology, I picked the wrong stack and that’s why something failed. I would again encourage our users and colleagues to think differently. It’s often in the change management that we feel. And what I mean by that is if you look at the Design Theory or the design methodology the first step in that is have empathy for the user and make it stop right there is that have you really understood the change you will make to the user’s workflow and how it will impact the job to be done as they think their job is and these are words taken from professor Clayton Christiansen who wrote the book in which his dilemma is an example of the many good books he has written is really important. We do not take a pause to understand how will this change the job that’s being done by a particular group of people where this technology or this new process or this new clinic will be implemented and then do they have enough training backup support and continued support to make a difference in the informatics world. There is a common joke that if you go up to the senior management person and say hey I need 20 million dollars because our servers are end of life systems will come down we will get you know maybe 30 million dollars so make sure it doesn’t happen again. If you go back and say hey you know I want five million dollars to retrain all my nurses and physicians and standardize workflow. You’ll get blank stares though somehow from a very tangible request you went into the intangible in the minds of many people. I think that’s a mistake that I have been guilty of making is to not ask for enough resources in that space, not spending enough time thinking through the what ifs in those in that arena. So I think human behavior and human change management are probably the places where I always feel have I done enough. So in many ways I feel like psychology of change is the most powerful technology we have access to and we don’t use. : Sameer you bring up some really great points and again you know hitting on this theme of ensuring that we’ve got the right clinical flows, we’ve got the appropriate level of attention on ensuring that these workflows are in a good place. I love that you’re focused on this despite the fact that you’re very tech-centered, you still continue to bring us back to what matters which is the quality of these providers as well as the quality of the patients. And in your experience, what would you say one of proudest moments you’ve experienced? : Right in discourse or fuselage when should I talk about? I think the first distinction I would make is that you know I definitely see myself as a medical executive or a healthcare executive. I don’t see myself as an IT executive. I am a clinician first and last and I just happened to use health I.T. as most outwardly visible to get to make a difference. I think the most proudest moment probably came from a teacher mindset is where I’ve had two or three really misguided people say they want to go down the career path I have. So I try very hard to convince them otherwise. But I think that was a big compliment to be able to see the kind of results that from my teacher mindset. And then the other one was you know way back at University of Chicago where I was there Chief Medical Information Officer five six years ago and we had we are still finishing up our big implementation and I had a couple of nurses come up to me and say that some of the recent changes in workflow and technical fixes that we had made allow them to delay they safer care in the OBGYN and department. And you know for many reasons that really resonated. I’ve had many other such experiences. But if you think about it, the little babies are probably the most vulnerable population. There is plenty of chances to make mistakes. And that was around the time that my daughter was also born. So maybe the hormonal overload for me at that time was kicking in but I think that was one of my proudest moments and reinforced for me that a personal sacrifice. I feel like I’m making every day by not practicing actively does amount to something of material difference to the patients and physicians. I serve. : That’s wonderful. No doubt, Sameer, children’s definitely one of the best in the world and pretty awesome that you did that work over there Sameer, you know in my backyard I’m here in Chicago. We definitely recognize the University of Chicago is definitely one of the best in the world. So kudos to you and your team my friend. : Thank you, thank you. IT was a team effort for sure. But like I said it validated my career choices. : That’s wonderful. Tell us about an exciting project or focus that you’re working on today? : It hasn’t kicked out but I’m really excited to talk about it. So building on the team or the biggest technology we have access to is the psychology of picking the mind and change management. If you extend that formalized that it gets into the field of behavioral economics or behavioral psychology and it’s employed by marketing sales pharmaceuticals for decades in fact it’s a well known secret that the biggest recruiter of news psychology grads are sales marketing and pharmaceutical industries. And it makes complete sense. So for me I think in healthcare, we are so focused on new technologies new diagnostic methods, more doctors, more hospitals, more nurses that we have completely missed out on the opportunity to change human behavior. In this case the human is either your employee,your collaborator as a physician or a nurse. And then finally you convene which is your patient to influence their behavior. So this is also known as the nudge theory. And there are many books written about it where they talk about how you raise a certain question or how you present a certain situation. People react differently. Very good person example that I like to share that when I was applying for my license in Chicago. And in fact that day my clinical practice was focused on Crohn’s con medicine just the inpatient medicine not for surgery. And I go to fill inmy get my driver’s license after having moved from a different state. And one of the questions is do you want to donate your organs when you die? It was something literally as put a life and I have to admit at that moment I stopped being a transplant physician who fret about the availability of organs and I became a mere mortal. We’re like no. I changed later. Right now I don’t feel like clicking guess. You know I became this illogical irrational human being where I thought the mirror checking off a checkbox on the form would and dice mortality on myself and I have never really gotten over what I consider poor choice by me almost ten years ago of answering that question now. Many other state that I don’t know if anyone has changed. Do it differently. Instead of making it an opt in where you have to rationalize your eventual mortality, they talk about opt out where instead of saying you know do you want to when you die. You say when you’re no longer in the world do you want to not help your fellow human beings. So then it, number one makes it an opt out. The decision is sort of be made for you and then number two it appeals to your altruistic side and you’re like oh I want to help. I’m a nice person. I help my neighbor with their garbage when they gone. So yeah I’m a nice person. Of course I want to continue helping people. So the response from the same person becomes very different. It has been applied for example by the United Kingdom Tax Department. Where of saying you have to pay your taxes on time otherwise you have just been told that there will be people just throw that mailer in the dustbin. Instead they leverage one of these professors who was expert in the nudge theory and he guided them to send a simple postcard that said Did you know that by X date 72 percent of your neighbors have already filled in their taxes. They are like what. I’m the outlier. I’m the bad person in this neighborhood and you know start behaving different. These are just a very simple 20 cents Coast Guard made a difference of about 10 per cent a multimillion dollar revenue opportunity for the tax department. So in healthcare we need to bring a lot more of that and there isn’t enough of that. I see or least are for that. And you get banned. We are working to figure that out at Sutter ourselves and the amount of time that we spend on the computer delivering health care. The amount of time our patients spend on the computer are not only receiving their healthcare but into the digital world offers tremendous opportunity for us to take advantage and do some real good here. So that’s the area that I’m really excited about. I’m trying to figure out what would be my first proof of concept and how to get them going. Hopefully at a future date I can talk about that as one of our good learnings. : That is super exciting and it’s definitely full circle just getting back to that psychology Sameer. And you know what, anything you get involved with. I’m interested in following so please get you back on and maybe a year or so when you get it off the ground to to hear about how things are going. : Thank you. I would love that. : Awesome. Sameer, we’re getting close to the end here so this part of the podcast a quick lightning round for questions. We’re going to build a medical leadership course on what it takes to be successful in medicine. The 101 of Dr. Sameer Badlani and so I’ve got a syllabus, four questions I’ll ask you does and all finalize it with a book that you recommend to the listeners. You’r ready? : Awesome. What’s the best way to improve health care outcomes? : I love that. What’s the biggest mistake or pitfall to avoid? : To view you have all the answers or what worked the last time with work this time too. : How do you stay relevant as an organization despite constant change? : I think singular focus on delivering value for your consumers and in a health care organization that’s just not your patients goals or your prayers. And it’s also your provider partners so all three. : What’s one area of focus that should drive everything in the organization? : Delivering better quality care to our patients and running it like a true business. : Well said and finally.. Yeah that’s perfect. What book would you recommend for the listeners as part of the syllabus? : Sure. So you know I’m a big fan of the classic literature so pick any book from Shakespeare. I think you will find a lot of life lessons and in healthcare I think it’s comedy of errors is probably the one to start with. : Wonderful what a great recommendation Sameer. Thank you for that. Listeners, don’t worry about writing any of that down. Just go to outcomesrocket.health/badlani as in Dr. Sameer Badlani and you’re going to find all the show notes, a transcript of what we’ve discussed as well as links for the organization that Sameer with and all the things that we discussed as well as a link to the book. Sameer, this has been so much fun. Really appreciate the time you’ve spent with us if you can just leave us with a closing thought. And then the best place for the listeners could get in touch with or follow you. : Sure. With all postal vote thank you for this opportunity was really interesting for me to go through the process and share some of my thoughts. I feel very lucky and hopefully other people find it entertaining and interesting. I think LinkedIn is the best to get hold of me. It’s the easiest social channel, I’m not on Facebook and occasionally show up on Twitter who talk about coffee. So LinkedIn is probably the best place. I think one closing thought I would have is have a very clear idea of what is the outcome you’re trying to achieve in your day to day work. Too often, we spend time delivering projects and not outcomes. And I think that’s a fundamental change that needs to come into how we deliver health care. : A great message Sameer. Listeners, hope you enjoyed this as much as I did and again be sure to rewind and listen again because Sameer definitely offered some great takeaways that you can apply your organization. So Sameer, again just want to say big thank you for spending time with us and looking forward to having you back. : Thank you so much. Have a good day.